(1007) Drove down to Riggals farm and met with the owners. "Oh, are you a trigger?" Permission to visit was freely given, and I had a good old chat about the pillar with the two brothers. 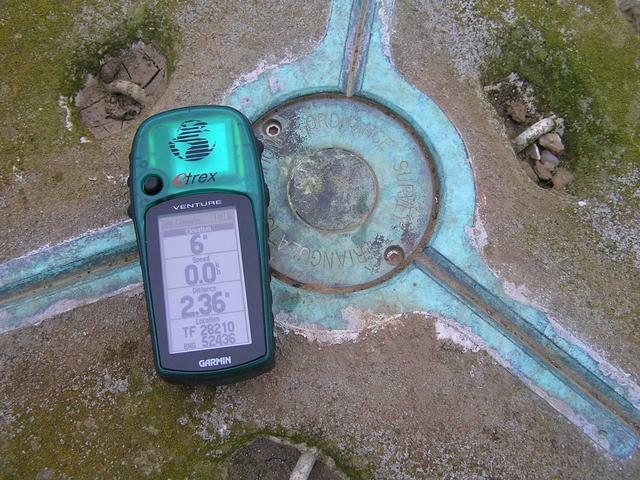 Last visited by the Ordnance Survey in the late 90s, it would seem. A decent half hour walk each way, and the last field was still in crop, so had to walk its overgrown boundary instead of simply cutting across. 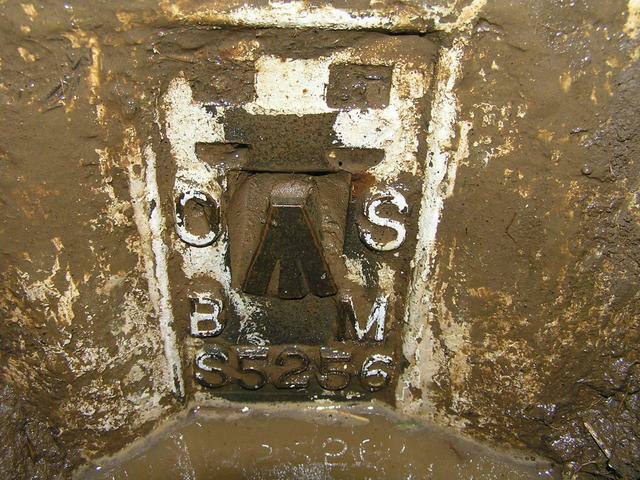 Pillar submerged to above the flush bracket - previous visits record this as S5256 . All else looks to be good. Met with the owners on the way back, and had another good chat. Nice one to tick off. asked at the farm and given permission to visit, easy if muddy walk to the pillar. All intact. Dug out the flush bracket. Adjacent fen has been dredged over the winter and oyster shells abound on the field edges. A joint visit with Carole. 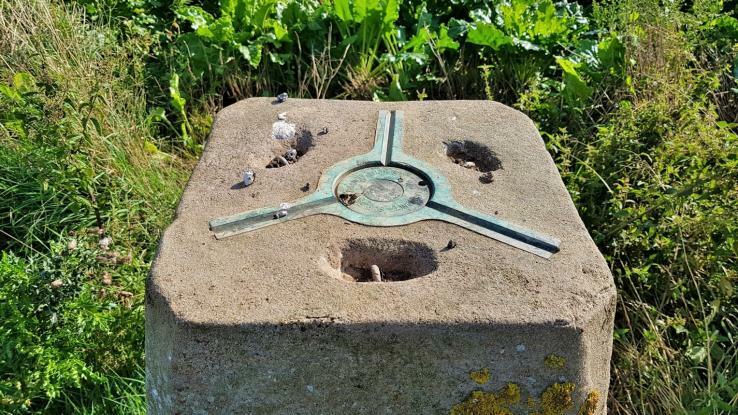 As others have found it is not touchable from the road junction near Bridge farm. So we went to Riggals Farm to the south for permission to make a trespass visit. This was readily given and resulted in a lengthy discussion in which we were able to impart some information about the pillar net work. At the same time we learned quite a lot too. 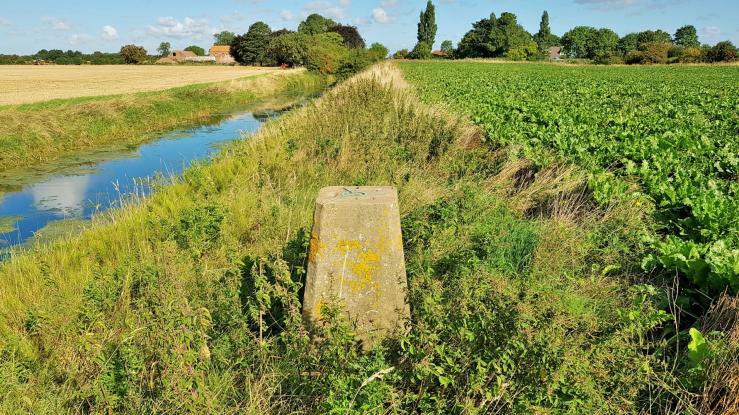 His father had told him that the surveyors had wanted to place the pillar in the middle of the field but they were persuaded to place on the edge instead. Originally access had been possible from Bridge farm by means of a foot bridge - long gone now though. 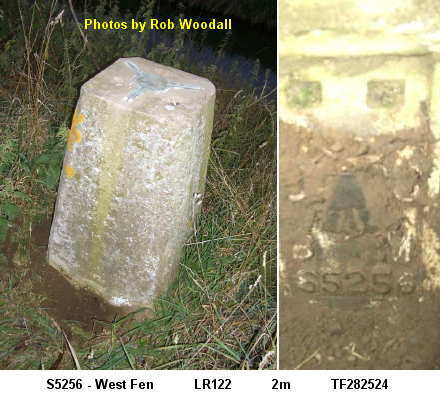 We were also told that it was originally visited about every two years and brushed and cleaned. Anyway enough of this back to the issue in hand. 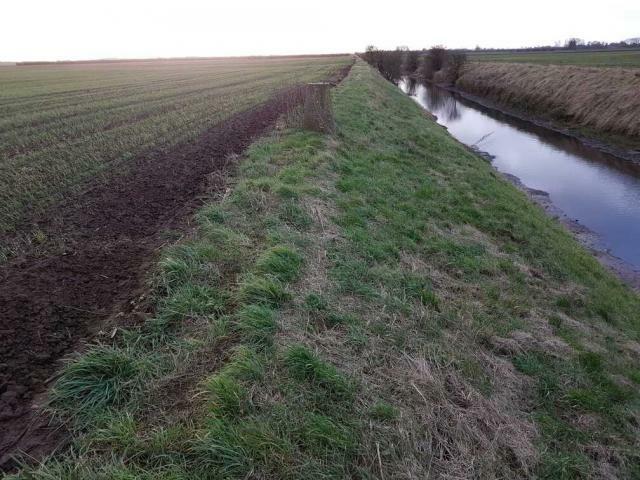 From the farm a good track runs north to the drain and then runs alongside it only become a field edge on nearing being level with the pillar which was easy to see. Then it was possible to follow a convenient tractor track across to it. Pillar has sunk considerably an there was no sign of the flush bracket. (Next visitor can dig it out!) Otherwise it is in good condition and retains an original indented lettered plug. A round trip of just over two easy miles. 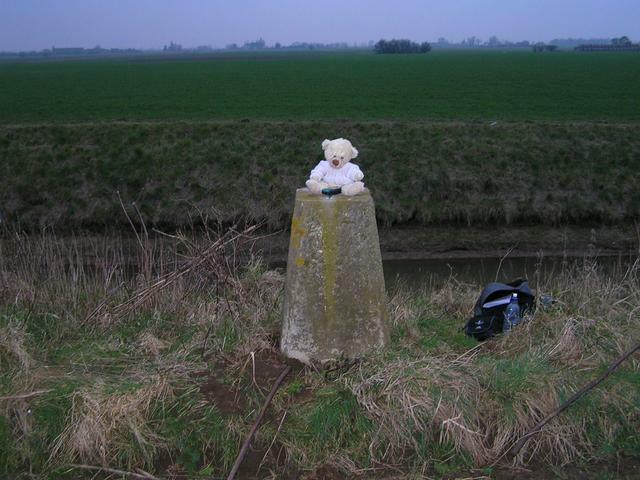 The top of the pillar was just visible from the road. The ex farmhouse is still under renovation! 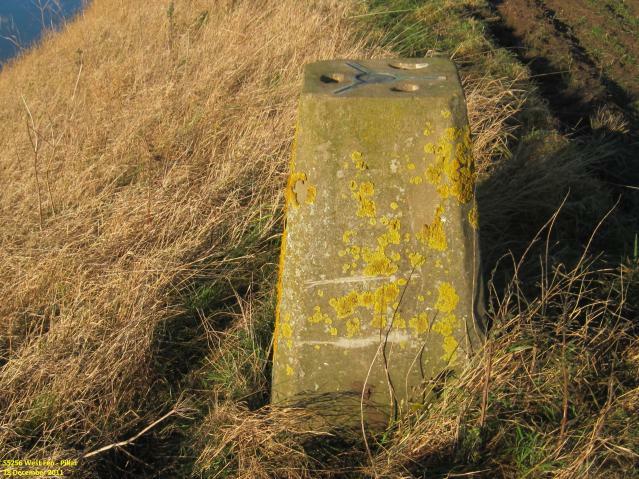 As there was no one about, passed through grounds and a long edge of dike and following filed to opposite pillar. This is as close as you can get without a very long walk in. My visit was after a long walk elsewhere so I made do with observing the pillar from the south-west side of Newham Drain, accessed through Bridge Farm. The house is currently under renovation with no-one about, so a couple of gates and some very uneven ground close to the drain were negotiated to get a view. 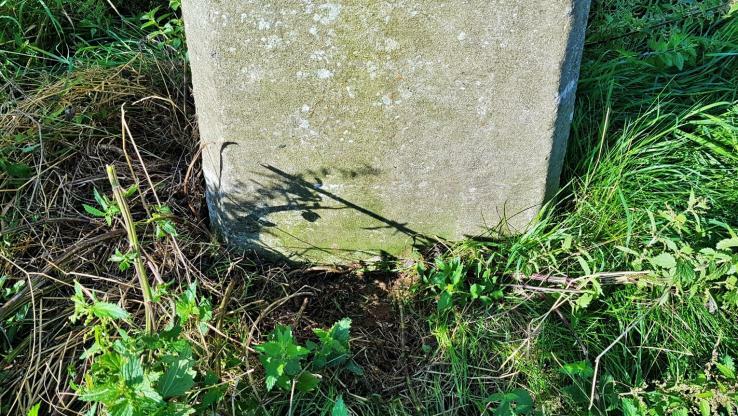 The lower part of the pillar was hidden by long grass so no sighting of the flush bracket. 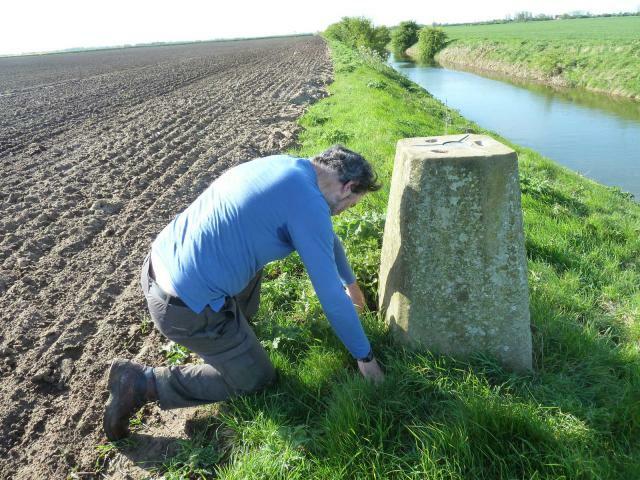 vgc, metal cap shallow letters, FB mostly buried in softish soil, SE bank of deep wide drain - long walk or short swim ! As was said before, quite difficult to get too. Involved a 5km walk round some fields (with landowners permission). When we got there couldn't find the flush bracket, had to dig around with our walking sticks and then wash it off. Must remember to add small spade and nail brush to our kit for just such events. Not much to say about the countryside, just miles and miles of fields. 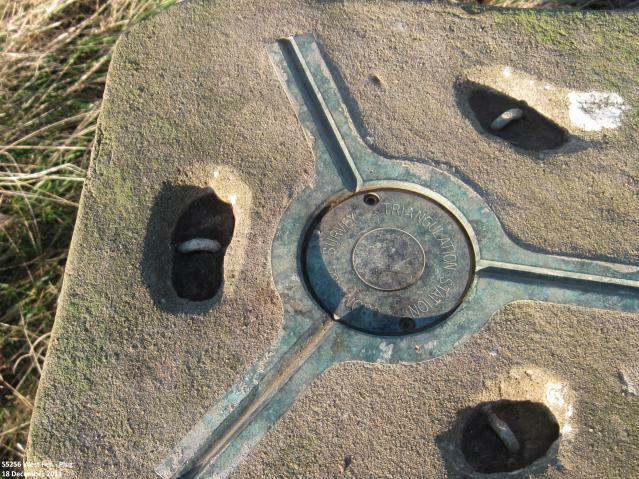 West sight hole was open but others were buried, all metalwork intact, indented lettering on the plug. S5256 Flush Bracket This took some getting too, the water came from washing it. 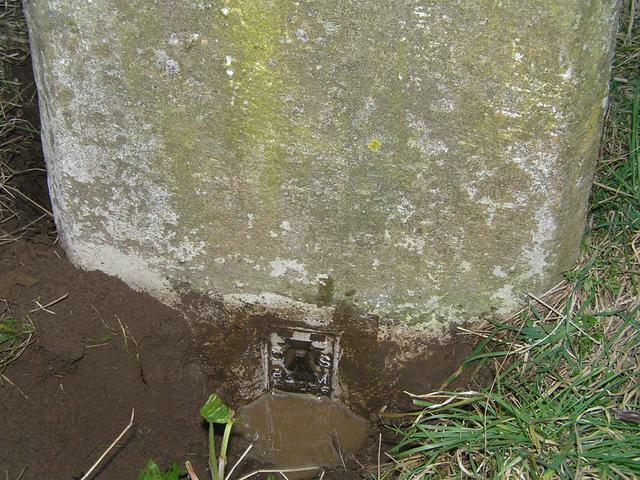 Would have been our 200th but not easily accessible due to being the wrong side of two drains. May be possible with a detour but would involve trespass.